Chris is an associate at Krevolin & Horst. 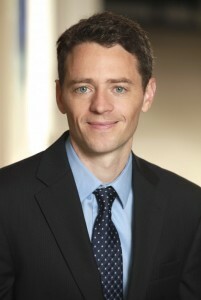 His practice focuses on commercial litigation and education law. Chris handles a variety of business litigation involving constitutional law, business torts, contracts, appeals, and trade secrets. A former teacher, Chris also works with charter schools on funding issues and to establish relationships with educational management organizations (“EMOs”) and other partners. Chris clerked for the Honorable Julia Smith Gibbons of the United States Court of Appeals for the Sixth Circuit. Before joining Krevolin & Horst, Chris was a litigation associate at Wilmer Cutler Pickering Hale and Dorr in Washington, DC, where he handled complex commercial litigation and appellate work. Chris graduated from Emory University School of Law with honors and Order of the Coif. Prior to law school, Chris taught elementary school in the Atlanta Public Schools with Teach for America.